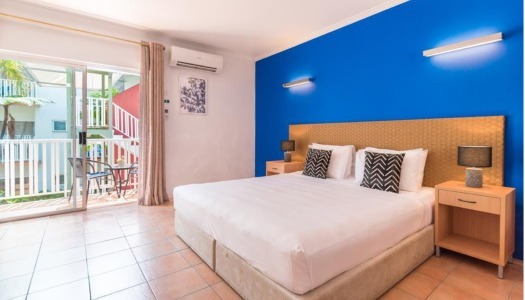 Nestled in the heart of Cairns, close to all the attractions, restaurants and bars. Coral Tree Inn stands as a private oasis offering you a tropical sanctuary away from the bustling city life. PLEASE NOTE: The 2+ night pricing not available between 24/12 - 3/1 & 23/1 - 5/2. 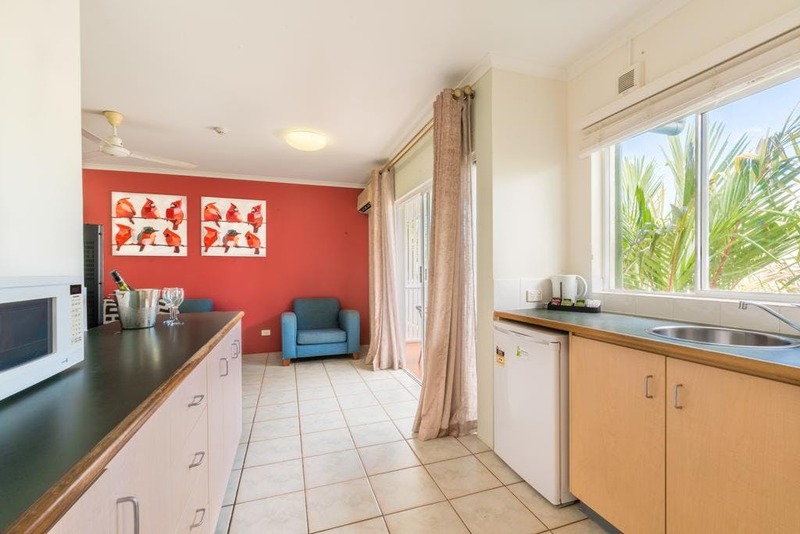 Nestled in the heart of Cairns, close to all the best attractions, restaurants and bars. Coral Tree Inn stands as a private oasis offering you a tropical sanctuary away from the busy city life. 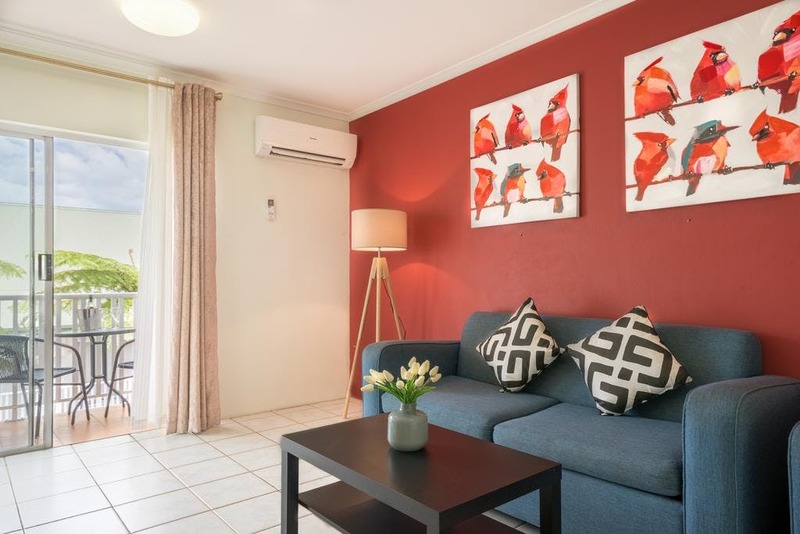 The airport is a 15-minute drive away and the Cairns Esplanade is a 7-minute walk from the Inn. 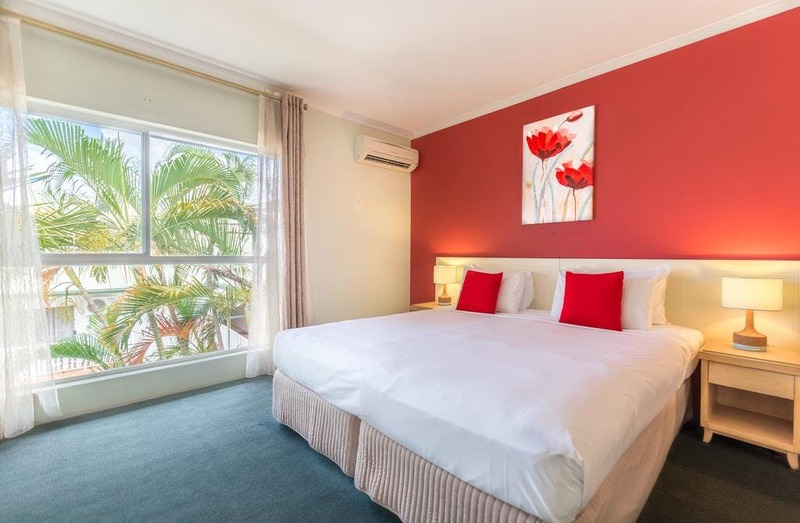 Our 58-room boutique Inn is in an elegant fusion of Queenslander and beach house styles. Each room has been tastefully decorated in one of four themes. 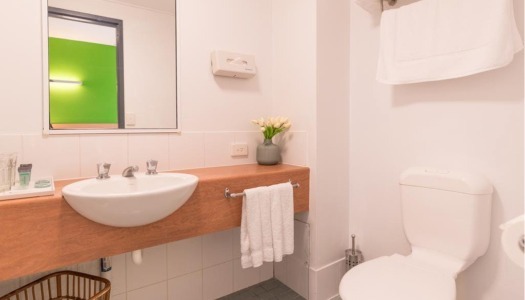 Our rooms boast an en-suite bathroom, private balcony and flat-screen TV - with free WiFi of course. We are open from 6.30am to 9.30pm daily. If you need to organise an late check in or early check out please notify us before you arrive. Please note that our small tropical boutique Inn has two levels and stair access only. If you would prefer a ground floor room, please let us know by email. Taste the tropics mounted by our gorgeous poolside. 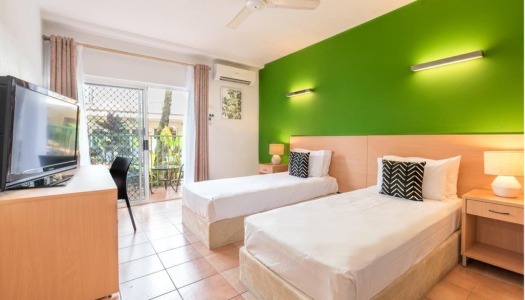 Your choice of our standard double or twin rooms. Experience comfort with a 42-inch TV, a fresh breeze from your private balcony (or patio) and WiFi. Great for couples and friends experiencing the far north Queensland. Boasting a huge 50m² self-contained suite, with a kitchenette, queen-sized bed, and double sofa bed.Enjoy private views with your own balcony overlooking our salt-water pool. This suite also showcases an en-suite bathroom with shower over bath. Please consider that this suite is only accessible via stair access only.